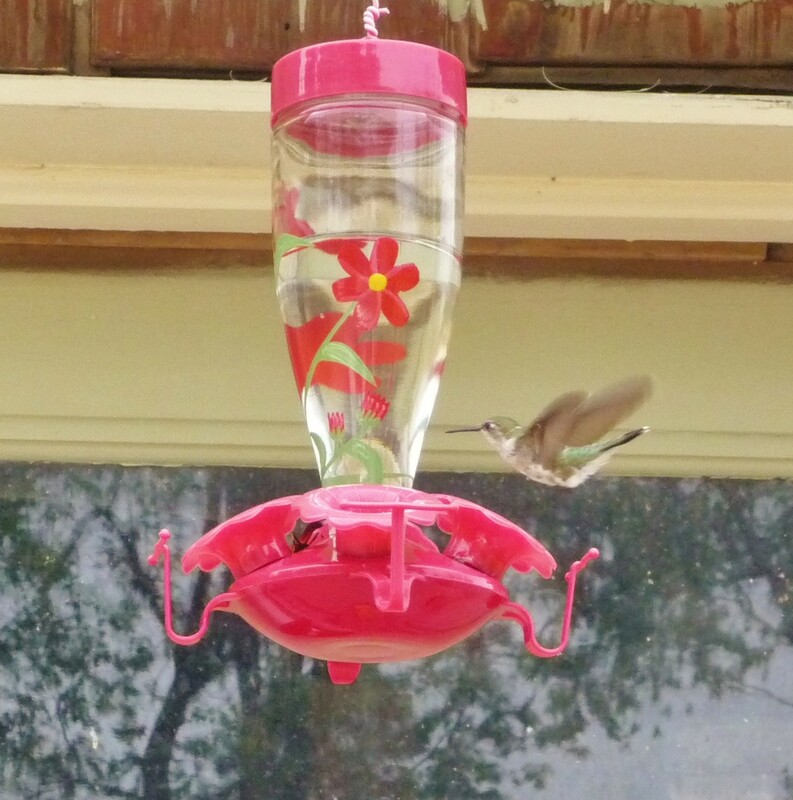 This past week after being in Orlando, Florida, the weather has not been kind to our hummingbirds. 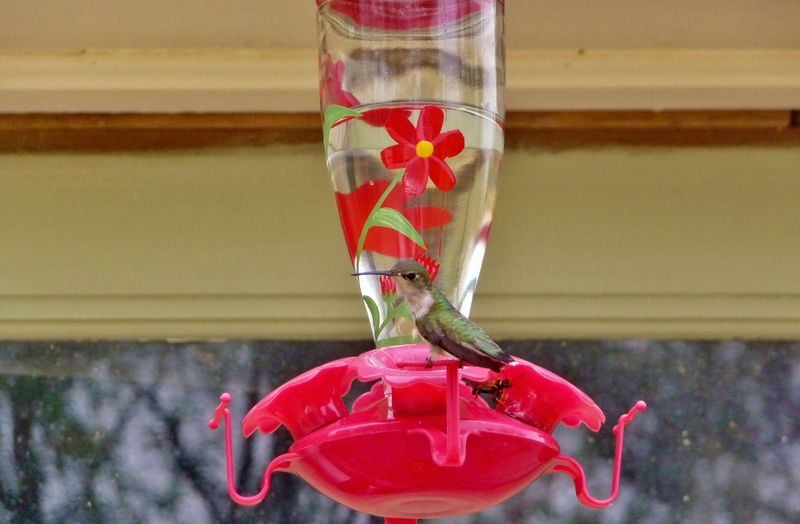 With all their tropical flowers, the hummingbirds were frequent in Florida. 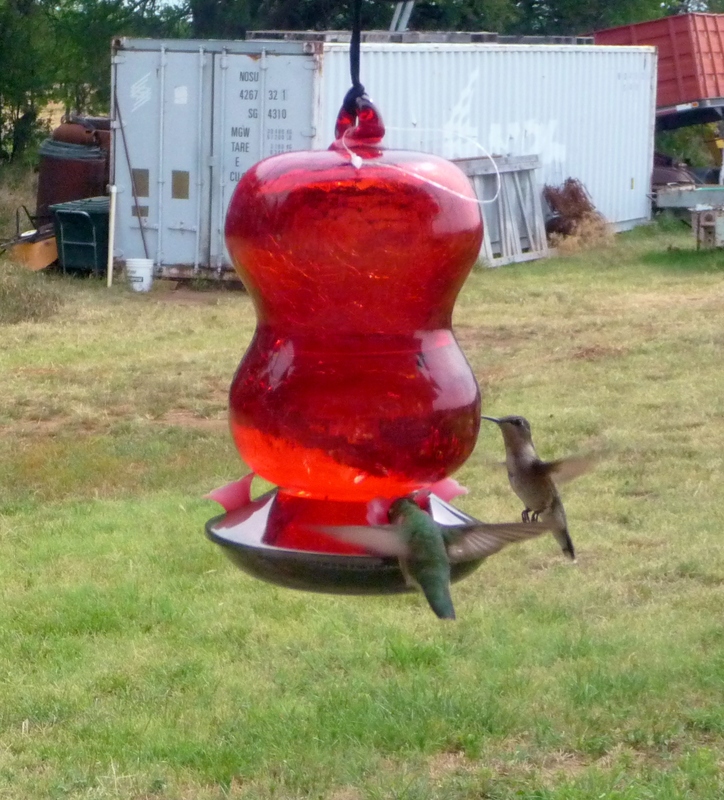 I have not been kind to our hummingbirds. Joyfully getting out the feeders in preparation this spring, I neglected to zippy lock up the white tips to one of the feeders. Thinking they were intelligent and find the sweet life giving nectar, I left the little white tips off. The first solid rainstorm we had this spring/summer, which in addition, the cold gave me my first crying spell over my darling hummingbirds. I found my black capped hummingbird drowned with his bill in the feeder during the rainstorm. Ran out and thought maybe he had just done this and I could CPR him or something. (My thought since I am a nurse). 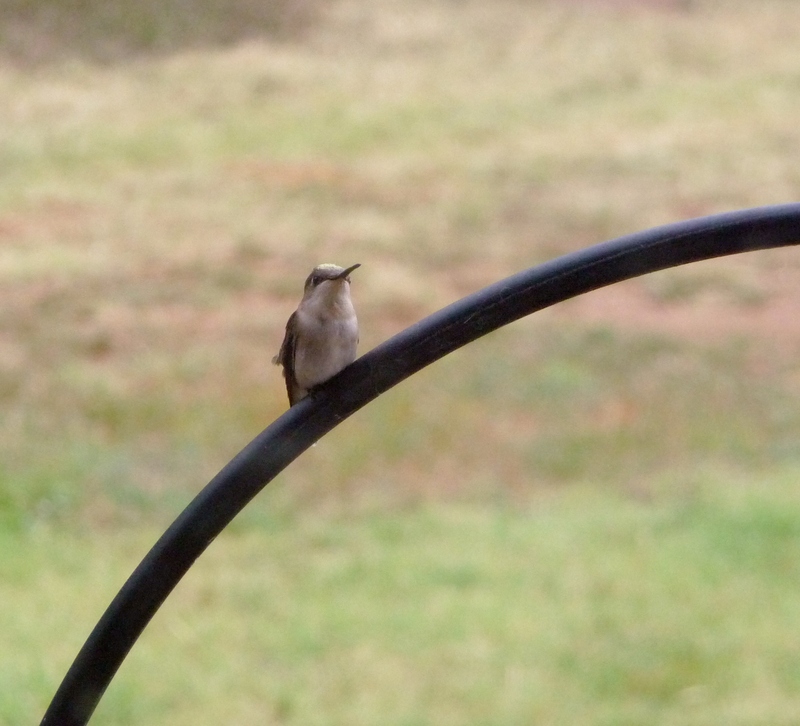 But he was cold and I jerked that feeder down with several hummingbirds following me back to the house. In fact one sat on the rod iron and stared at me through the window until I had a new one out. Staring is going to get me fed faster! 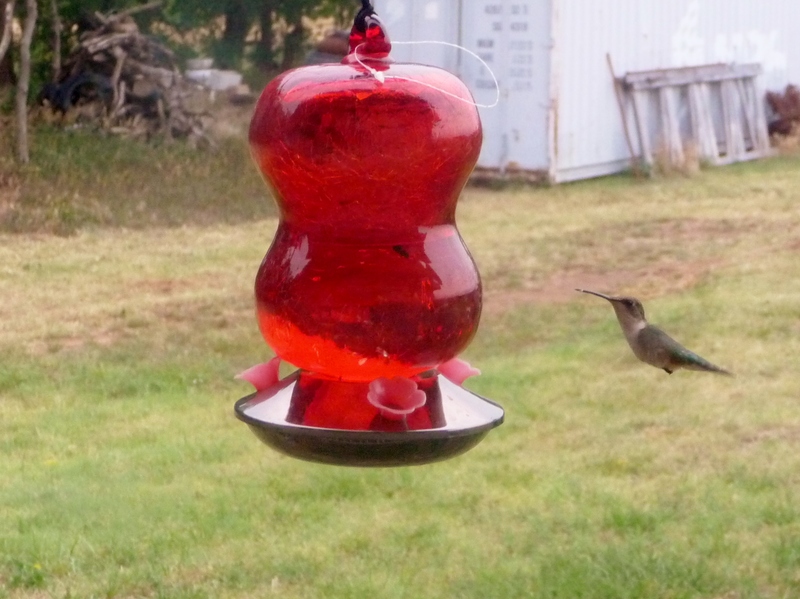 To slightly back track, the past four years we have been building a large group of hummingbirds. We went from one female, who was determined to get nectar from JD’s red sweaty t-shirt. Blech! Poor girl. He would just stand there and let the ol’ gal poke at his chest. So I, in great joy, went out and bought feeders. Thank heavens I didn’t have to buy nectar. It can be made so easily by scratch. And a heads up, please do not use anything but white sugar and do not add red food coloring. It will kill the little darlings. My mother made me laugh this year when she said, “How do you know they can’t use raw sugar?” ” Uh, Mom, I said, they use the liquid stuff, nectar, from the flowers……” Wait for it, wait for it….. The Jeopardy song is running in my head. Pressing my lips together in order not to laugh, I stared and then we and laughed hysterically about her flub. 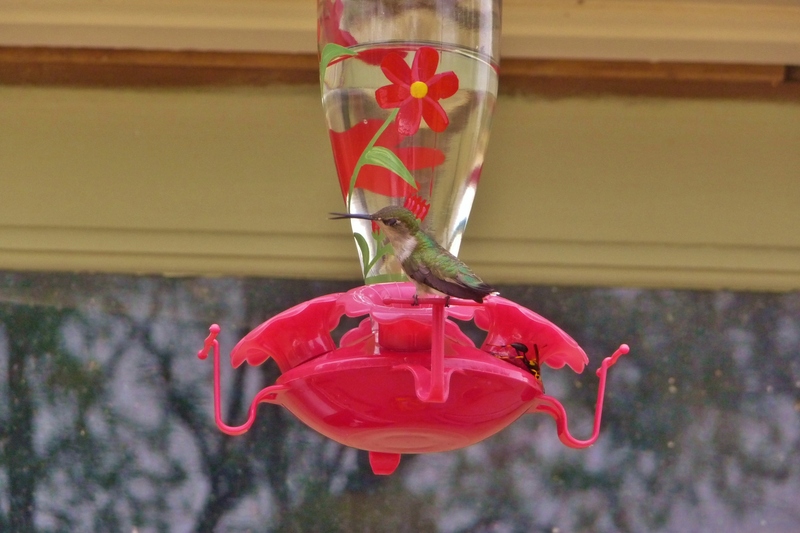 But seriously, the natural raw sugar has iron and hummingbirds cannot rid the iron and die of iron overdose. 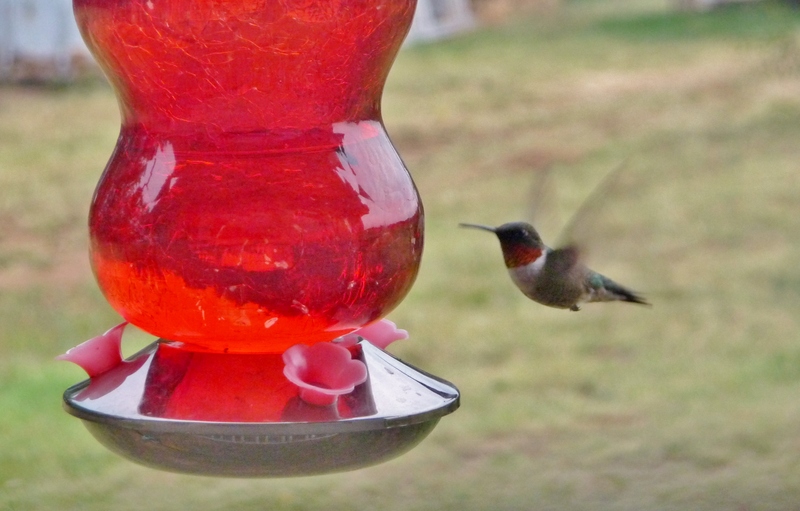 Here is one of the best sites I have found if you are interested in hummingbirds http://www.hummingbirds.net I can say I have found so much joy in these birds. We went from one female and she had 1 male and 1 female. They all came back, had nests and we were up to 12 last year with buzzing, aerial fighting and squeaks all over the place. This year only 4 with the cold and several strong storms taking out their nests. I wondered if several were killed with the 80 mph winds from two storms this summer. 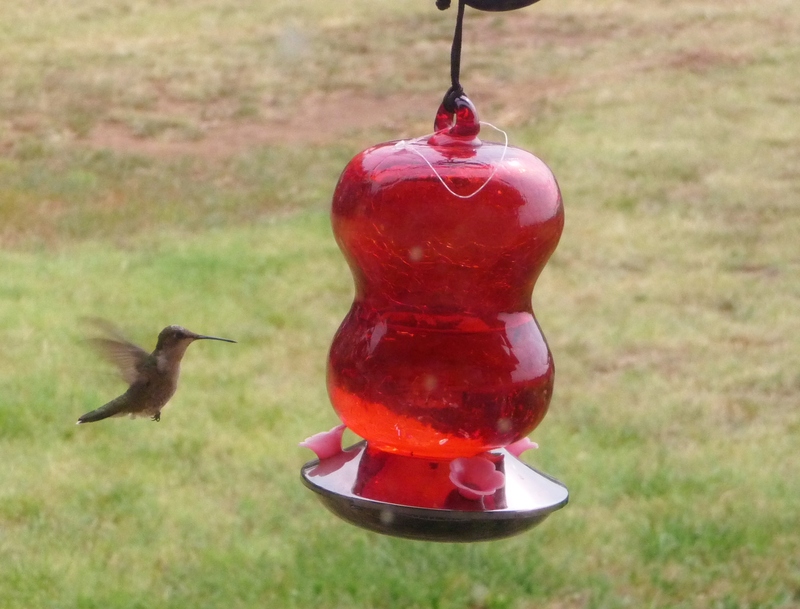 But today I saw a female and a male hummingbird. Ruby throat, but no black caps. I hope the ones in Wichita did better than mine this year. 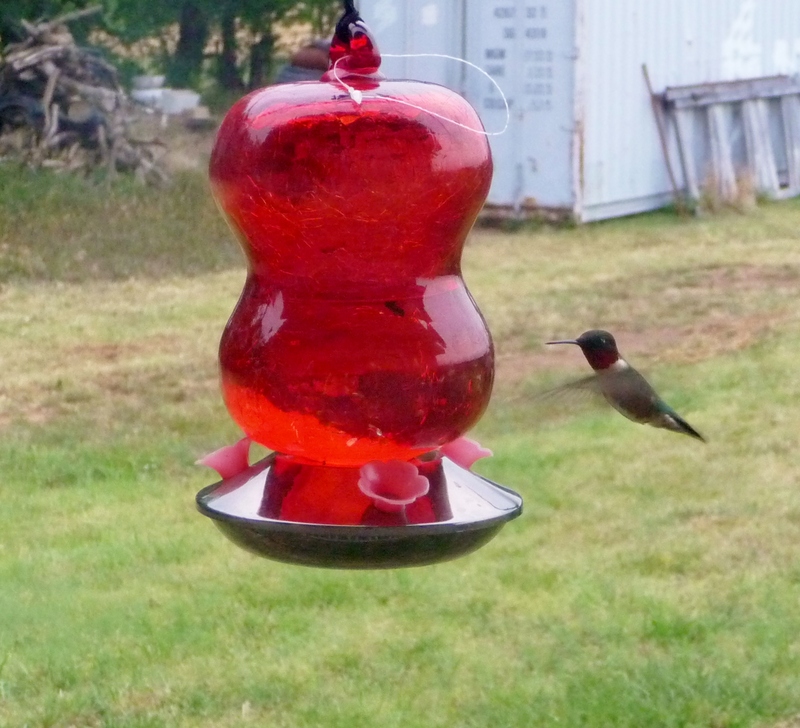 I have included some of my favorite photos of my hummingbirds. Please don’t reuse them unless you get my permission. 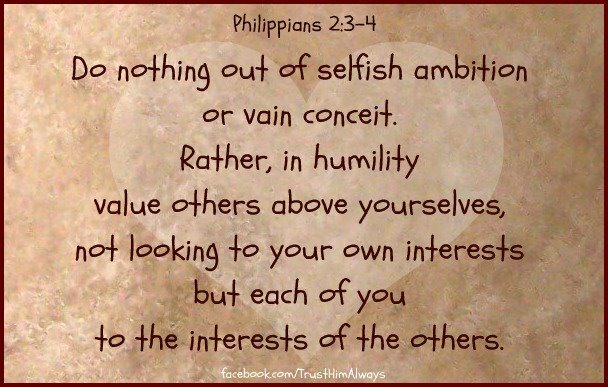 Selfish or Selfless? Which one am I? It is late at night, well, actually very early in the morning being it is almost 6 a.m. here in Kansas. It is nights like this, in which sleep evades me, I now have something to express and ultimately blog about. 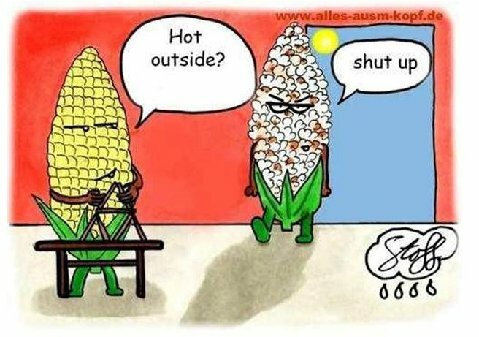 Being in Florida this past week was hot and humid. 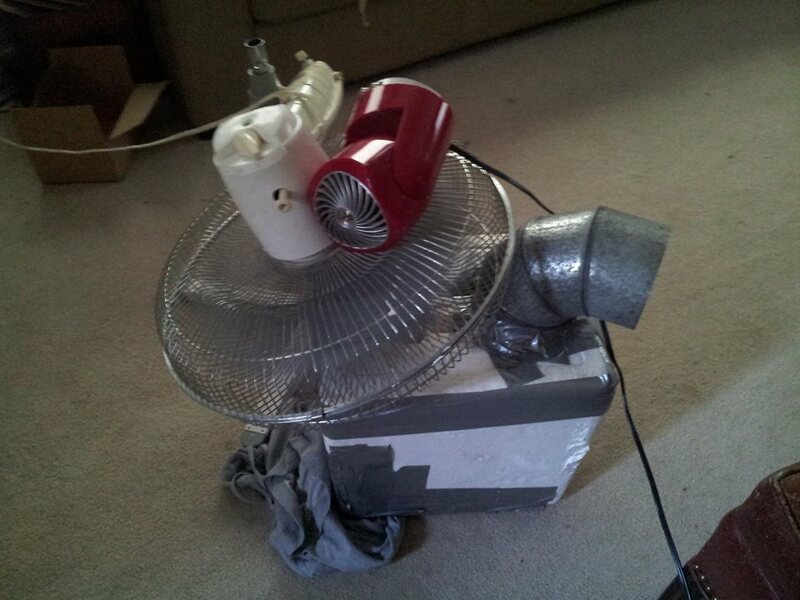 My children and I greatly appreciated the cool air-conditioned room after not having a/c for two weeks in the heatwave the last time I had blogged. This was Orlando, Florida, where we were guests of my parents, who are members of the the Gideon International Convention. Noah, 16 and Abaigael, 18, had their own age groups, my parents had their sessions and I took a few days to have to myself to swim and regroup. The kids had daily activities to Disney World, but on Friday we had a great time taking them for their time to Cocoa beach. And of course we all missed a spot somewhere on us and burned. If you are not familiar with the Gideons, here is a website for you to discover who they are. http://www.gideons.org I thought I understood what they were due to the fact my parents have been members since 1994. But attending a few of the sessions and listening to the speakers, it gave me a greater respect and awe for them. Selfless. Sacrifice. Determination. They give of their own resources to make sure the Word of God gets into the hands of people. We see the Bibles in the hotels, the doctors offices, Gideons standing outside of the schools to give Bibles to children who can read, and even myself at my nurse’s capping ceremony. Do we really know or think about what they actually do? I didn’t. There were 97 or 98 countries represented, some were countries which had little funds, while other Gideons gave out of their hearts to have them attend for the week. These people are lay people, not pastors, missionaries or chaplains. If you think it is just a religious week seminar, it is so much more than this. This was so enlightening, and tugging at my heart making me consider, am I selfish or selfless? Although many of the speakers are not Gideons, they were people who were touched by the small act of being handed a testament or someone passed one along to them. Although not always in an instant, some were years in the making before they read the New Testament or re-read it again. But when a decision was made the act was life changing. I was pondering my actions from this past week and this first full day of being home. What is selfish? Well, according to the dictionary it is an adjective to where one is devoted to or caring only for oneself; concerned primarily with one’s own interests, benefits, not regarding of others or concern or care only for oneself; selfish motives. Self seeking, stingy were good synonyms. So what is selfless? Selfless: Adjective: Concerned more with the needs and wishes of others than with one’s own; unselfish. Can a stingy, selfish person be a happy person? I don’t think I have ever seen one. Recalling this past week makes me feel very selfish and guilty of my thoughts at this time. I am mulling over the Gideon men and women from foreign lands with all they have had to endure. They have given of themselves, in the heat, in poverty, and selflessly gave their time, money, and sometimes their health and endured physical hardship to give a Bible. What about me? Am I going out of my way in my time, energy and resources to help others? It may be with giving money to missions, the Red Cross, Food Bank, for Bible’s or it may be the little thought of bringing a meal, showing up at someone’s house to help out, or setting aside my choice for another’s choice. It could even be to say hello and talk to a stranger especially if they look sad or dejected, even if it might be awkward or I balk at wanting to do it at all. How do I know that a smile, a recognition or a spoken word may make the difference in someone’s life? Although sometimes we do have to be selfish to be selfless. We can work so doggedly that we become ill and are useless to everyone and anyone, but Philippians 2:3 says, “Let nothing be done through selfish ambition or conceit, but in lowliness of mind let each esteem others better than himself.” Esteeming others above me will create joy, maybe not happiness, for that is just surface and fleeting, but deep joy. JOY: Jesus, Others, Yourself. I shouldn’t lose sight of that goal, even if it is over the temperature of the air conditioner. When I get all wrapped in pity, self starts to rear its head. Love, gentleness and patience get left in the dust of bitterness and self centeredness. Anger isn’t far behind in the horse race and the whole house is in an uproar with the roots of bitterness sneaking out to take a strangle hold on my family unless I axe it in its beginning phase. Keep my focus on what is important and what counts for eternity, not this moment. As a man called Bill Gothard once stated, “Don’t put on the altar of the temporary, that which may be permanent”. Cooler days will eventually come, but my time needs to be on life, on my family and others and cannot be wasted on selfishness. I gladly focus on the fact we have electricity for all the fans to be on high…… as well as more iced tea on hand! (Decaf this time of night) So think to yourself: Are you being Selfish or Selfless? Kansas: How hot can it get and can I make it through? Kansas, as many say, wait five minutes and it will change. And change it does, it became hotter and more humid. More so without the air conditioning. This is day 13 without the air conditioner. I do believe I would not be able to live in the pioneer days without it after having this heat and wearing long dresses. I think that I would be able to endure it more if I had not had a heat stroke my first year of college in Kansas City, Missouri in 1980. Oh dear, now I am dating myself. The clouds have been teasing, deceiving, tempting rain and then doesn’t give what it looked like it was promising. But for those who don’t understand what the heat or sunstroke, when there is the overheating, you end up burning out the thermostat of your hypothalamus. ( Your medical learning from this nurse). Thus you cannot sweat, you cannot release the heat and you overheat. Sometimes no amount of water, or cooling off will help except with a freezer rice bag. (I will post on how to make these under a different category, but they are lifesavers in our home and with many uses). We have a new addition to the cattle family. 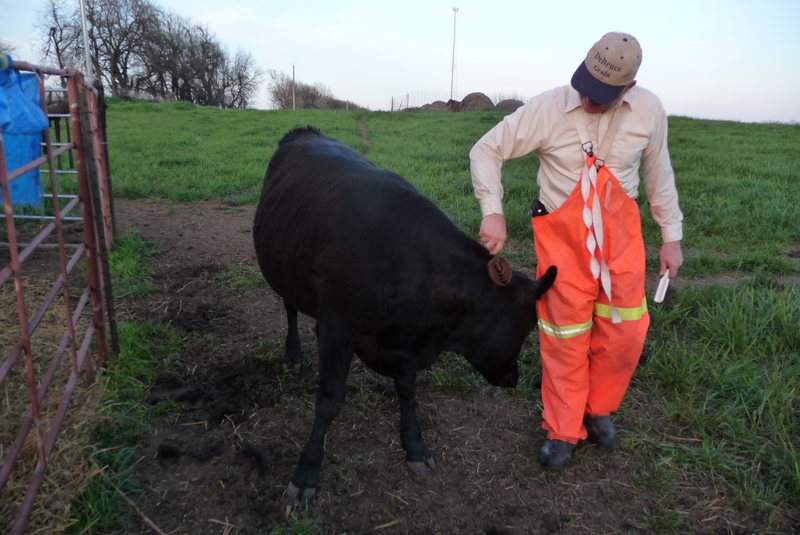 We have a range of 12-16 cattle at a time. My husband, JD was at the cattle auction on Wed, July 17th and bought a new momma cow with a calf, heifer, that appears to be about one week old. This momma cow was too young to be bred. For those who don’t know, heifers should be about two years old before they have their first calf. She is about 18 months old, so she wasn’t very old, and it can be more difficult for them. I haven’t really seen her, and plan to go out to see her today, if at all possible. My cattle came running, even though they haven’t been around me in a week and a half. But I went out and called, and knowing I have cow treats, or actually horse treats, they come “a runnin'”. I didn’t know I could find such pleasure in the cattle and with my one heifer, D/C, whose mother is A/C. Not after the band A/C D/C, , mind you, but a friend named them from this since they are angus cattle. A/C: Awesome cow, and D/C: darn cute calf. D/C is going to be a momma for the first time, and she still comes up to me to have her head scratched and gently rubbed under her chin and behind her ears. The only problem is when I stop, she bumps me and she has too much weight for me not to press back and hold. Having her more domesticated is another story, but just watching them calms me. I can’t wait until I meet this new momma cow and her baby. Now, to come up with a name…. The photo is of D/C and my husband, having a scratch session. I have spoiled her rotten.